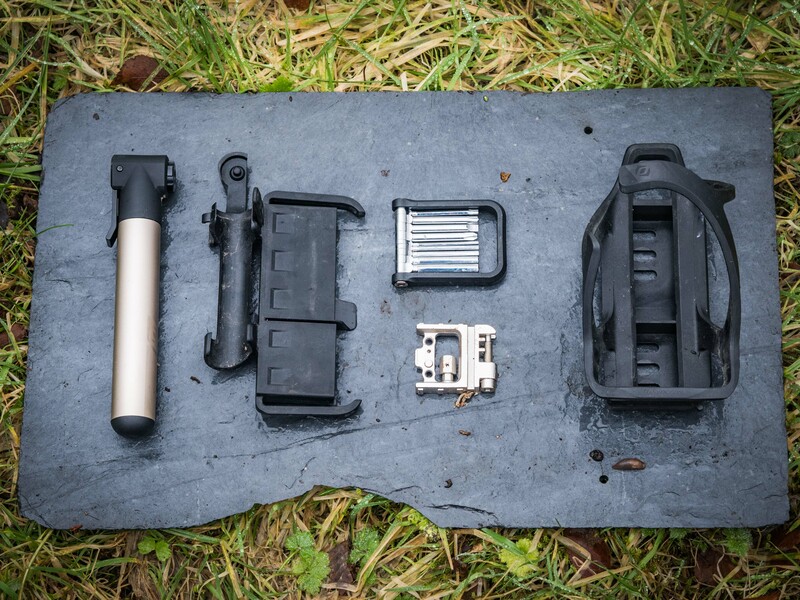 The bike industry is falling over itself at the minute to develop ways of stashing kit on your bike, rather than on your back, but many of the solutions on offer don’t offer much improvement over the traditional electrical/duct tape. Syncros has put a bit of thought into its Matchbox system however, and while securing a pump beside a bottle cage isn’t groundbreaking, the integration of a multi-tool into the storage system did pique my interest. A neat and tidy set up. The bottle cage itself is sturdily built, hugs a bottle tight and uses side-entry for smaller front triangles in left and right hand entry versions. Three slots allow fitting higher or lower and slightly left or right of your bottle bosses. It’s nothing fancy, just a bottle cage that does its job, and the high degree of adjustability for fitting is a nice touch. There is also a version without the pump. 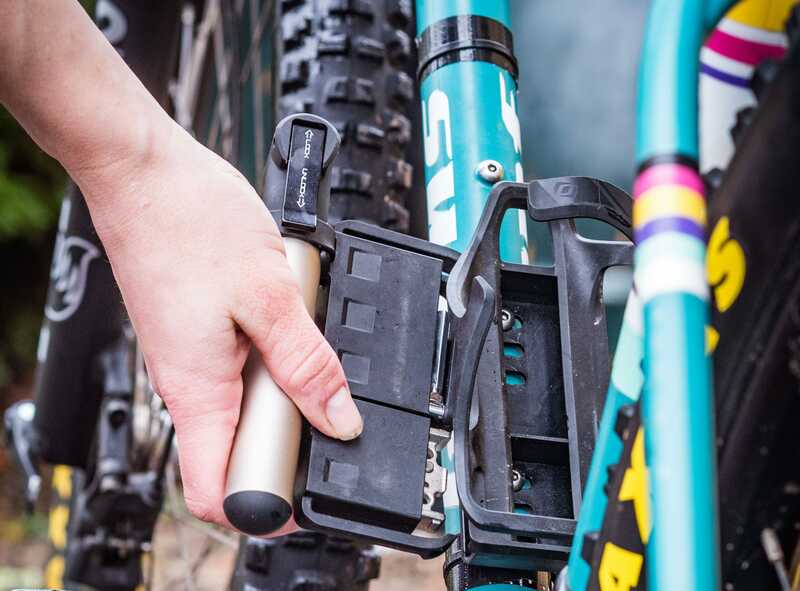 The storage cassette slides home with a ‘thunk’ beneath the cage and contains the multi-tool and a separate chain tool. 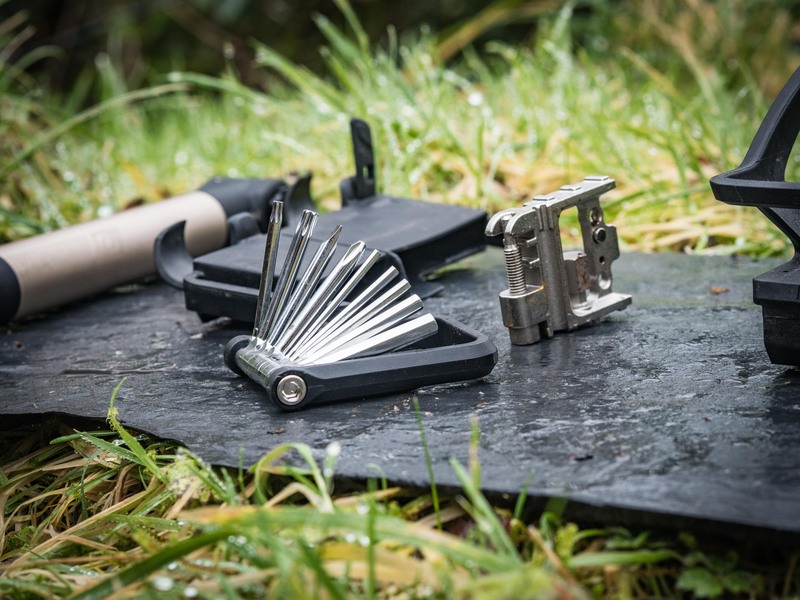 The multi-tool has all the standard bits: T10, T25, Philips and flathead screwdrivers, 2, 2.5, 3, 4, 5 and a separate 8mm Allen bit (don’t lose it). I was distressed by the lack of a 6mm bit, before I realised that my own bikes don’t contain a single 6mm bolt between them. 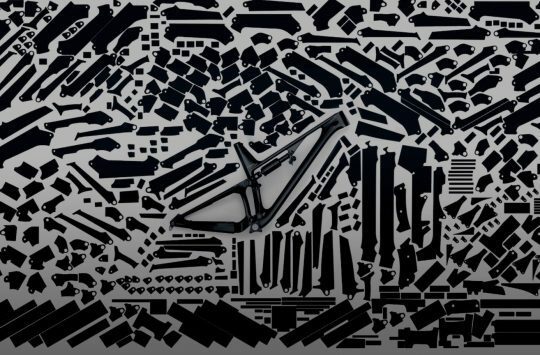 Sod’s law states that you will need that 6mm for a friend’s bike though – the only big flaw that I found with the system. The 8mm Allen bit lives on the chain tool, which also contains spoke keys and a cunning magnetic slot in which to hide a spare chain link. Neither tool offers big leverage due to its small size, but they were solid enough for the usual trailside tweaks. There are signs of corrosion. The pump is pretty effective considering its diminutive size. 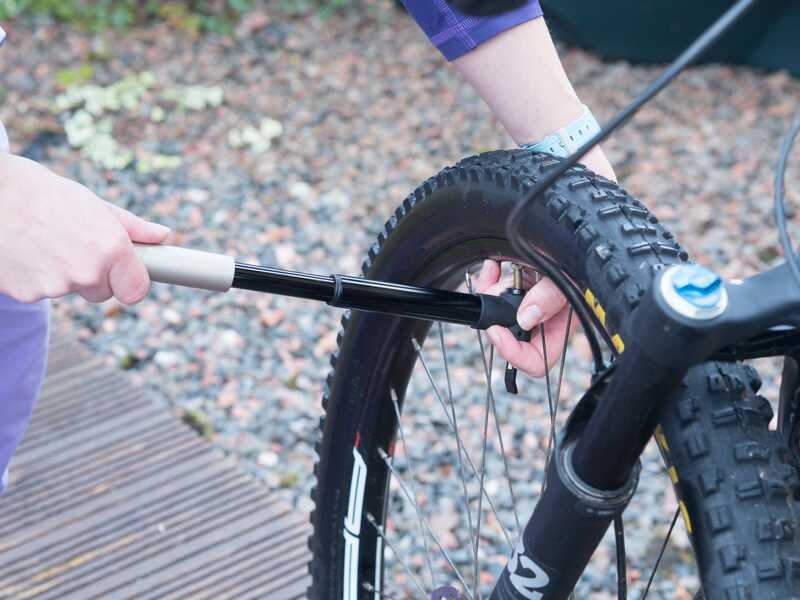 The telescopic design gives enough volume to mean that you shouldn’t be all night inflating a plus tyre, and the metal locking lever and body are solid in use. The fixed head needs some caution to avoid damaging your presta valve head though. On that note, the HV+ we have here is the little weight-weenie version. Scott also offers a HV1.5 model with a longer pump that contains a hidden hose – plus it’s a fiver cheaper, and actually has a 67cc capacity of air per stroke, rather than the 33.2cc we have on test here. In use, the whole assembly is solid, unobtrusive and I feel that it’s of high enough quality to justify the price – the big numbers got my eyes watering initially, but it is comparable to the total for a decent bottle cage, pump and multi-tool bought separately. That said, a few weaknesses did pop up: That missing 6mm allen bit still bothers me, although a quick check of your own bike should tell you whether or not that’s a deal breaker. I was also concerned about how the pump and tools would fare when constantly exposed to mud and water, and in this I was somewhat justified. 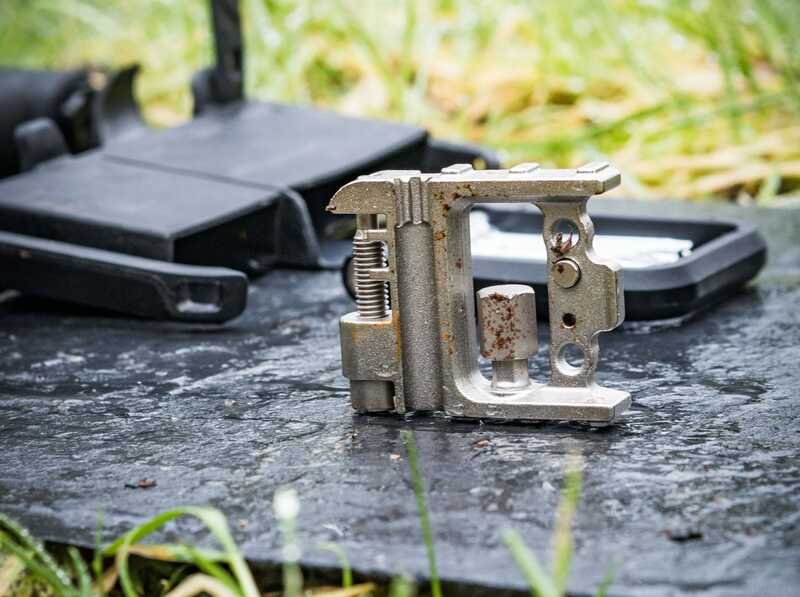 The pump head has a dedicated slot on the frame, which prevents mud and water from entering it, and while the cassette drawer makes a good seal to prevent mud from getting to the tools, moisture did creep in and stay in, which has caused some corrosion to the tools. In muddy conditions, once the cassette was slid out it was invariably a little tricky to get back in as grit found its way into the system. Clever storage, but it’s less slick in foul weather. 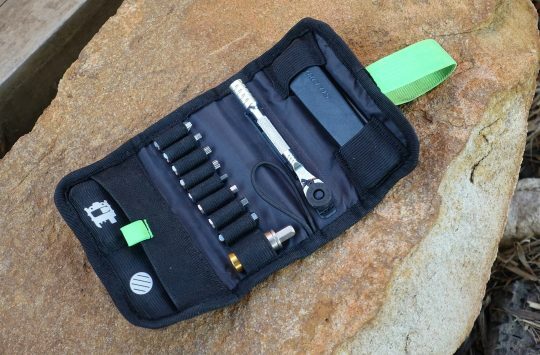 The Matchbox gets heavy items off my back and low down on the bike, and it works. 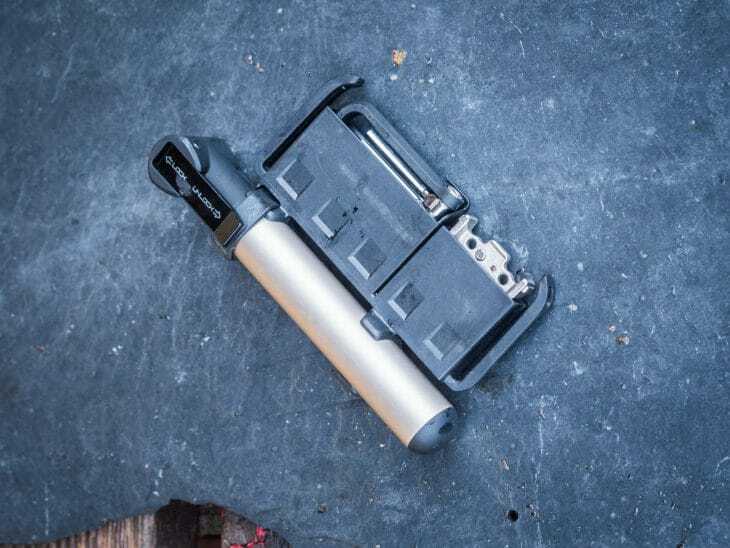 It might not be best suited for the muddiest of conditions, but in drier months (or on your gnarmac/gravel/adventure bike) I think it’s a neat bit of kit that will earn its keep, provided you can stomach paying that chunk of cash. How we survived the snowpocalypse and made it to Monday! Looks big, heavy and clunky to me. Most of that can already be achieved with some elastic bands and insulation tape. A bodge? Yes. Cheap and customisable to your hearts content? Also yes. Have any consumers ever asked for this (or, come to mention it, the 473 wheel size/axle width /tyre gnarr combinations)? Or is it another bike industry gadget freak marketing ploy? Chuck enough cash at glossy ads and they will come? 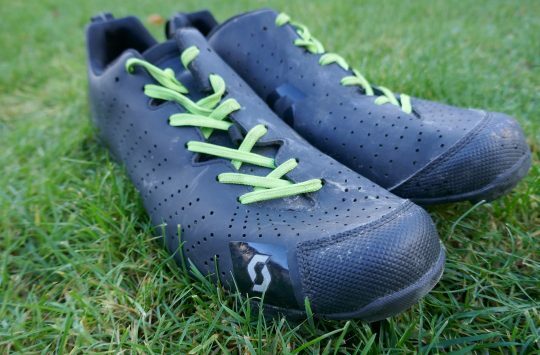 I’d rather have a set of decent tools in my pack or bungeed around my helmet pointing out at dangerous angles, or shaken clunkily into my bib shorts-aaargh, did he say bib shorts, but next season’s fashion is “Hint of Fluoro, hanging gusset, skater chic”-again…. Bobbins to micro-tooled skinned knuckles and trying to remove pico-sized ‘tool’ widgets from UK Slop.